Car purchase and servicing platform BookMyTime has acqui-hired car management startup Servicemykar, according to a press statement. Servicemykar was founded by Raghavendra Chandrappa. The 10-member team of Servicemykar as well as CEO Chandrappa will become a part of BookMyTime. "With this acquisition, we are ready to expand our operation in terms of service and geography," said Raghuram Kote, founder of BookMyTime. The BookMyTime app provides the user with price comparisons of cars, as well as servicing requirements such as providing details of puncture shops and round the clock towing services. The company, which is currently present in Bangalore, claims to have partnered with more than 182 authorised dealers for servicing as well as 110 dealers for new cars. In the automobiles space, online classifieds firm Quikr has acquired Stepni, a platform that connects vehicle owners with service providers nearest to them in September. Prior to that, Girnar Software Pvt Ltd, which owns CarDekho.com, Gaadi.com and Zigwheels.com, has acquired roadside assistance (RSA) provider Help On Wheels Pvt Ltd in an all-cash deal in April. 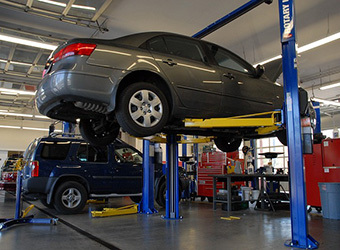 The automobile marketplace and repair segment has seen a lot of investor interest recently. In September, Deepak Nathani, co-founder of technology consulting firm Cybage Software Pvt. Ltd, acquired a 20% stake in automotive services startup Demyto for an undisclosed amount. In May, Bengaluru-based Let's Service raised angel funding from QuEST Global chief operating officer Ajay Prabhu and Julia Computing Inc. co-founder Deepak Vinchhi. The firm provides servicing for bike- and scooter-owners at authorised service centres. The same month also saw Mumbai-based MotoMojo secure angel funding from the founders of startup enabler VentesAvenues. The firm connects owners of two- and four-wheelers with service stations through its mobile app.